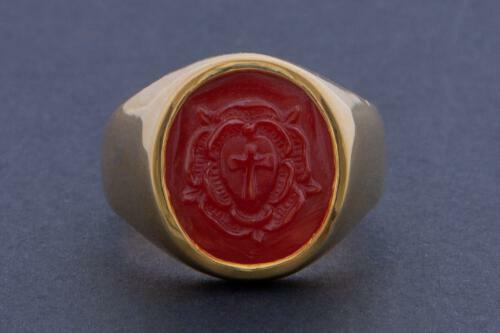 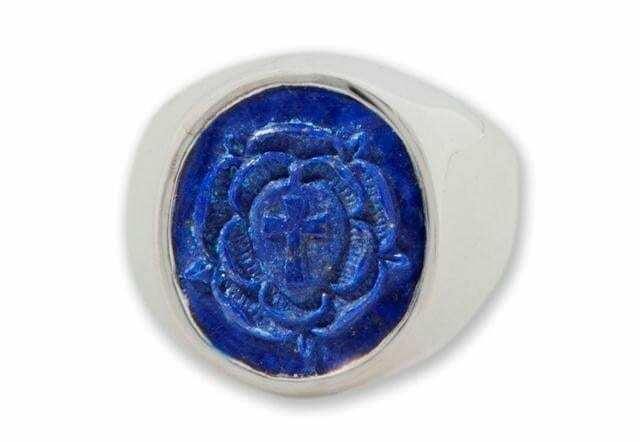 The symbolic rose and crown skilfully hand engraved on gemstone lapis lazuli. 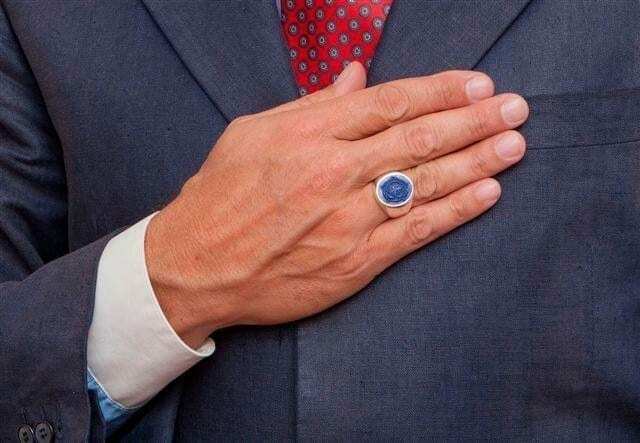 A beautiful and unique handmade work of art. 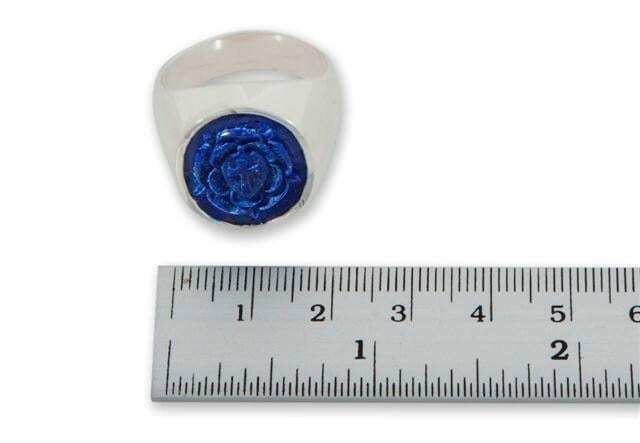 The oval cut is 16 x 14 mm (5/8 x 9/16 inch). 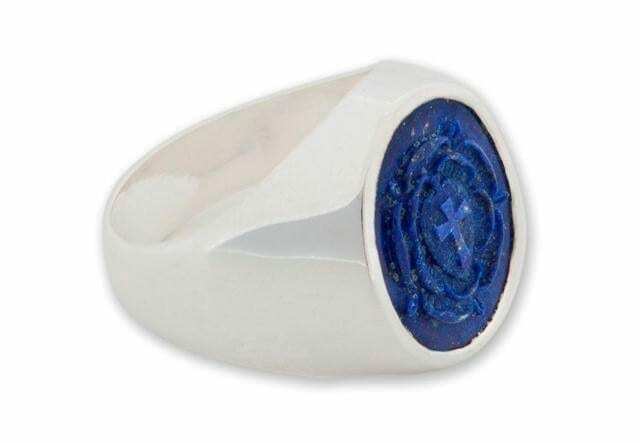 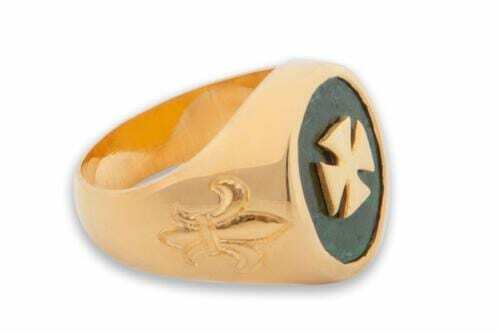 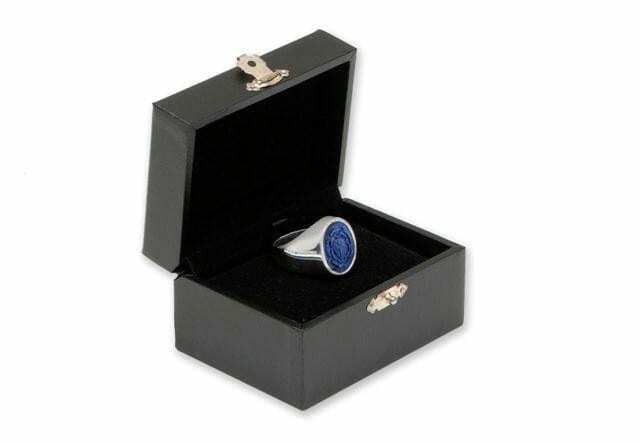 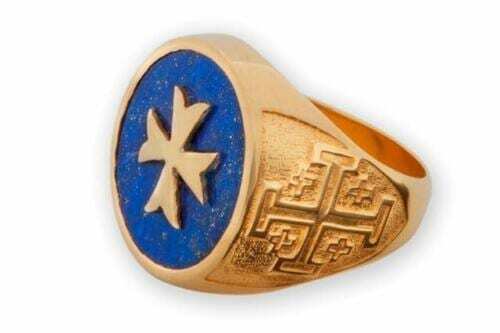 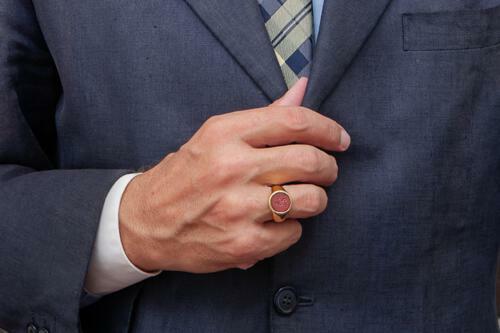 This is a small sized Regnas signet ring made in sterling silver and genuine Lapis.